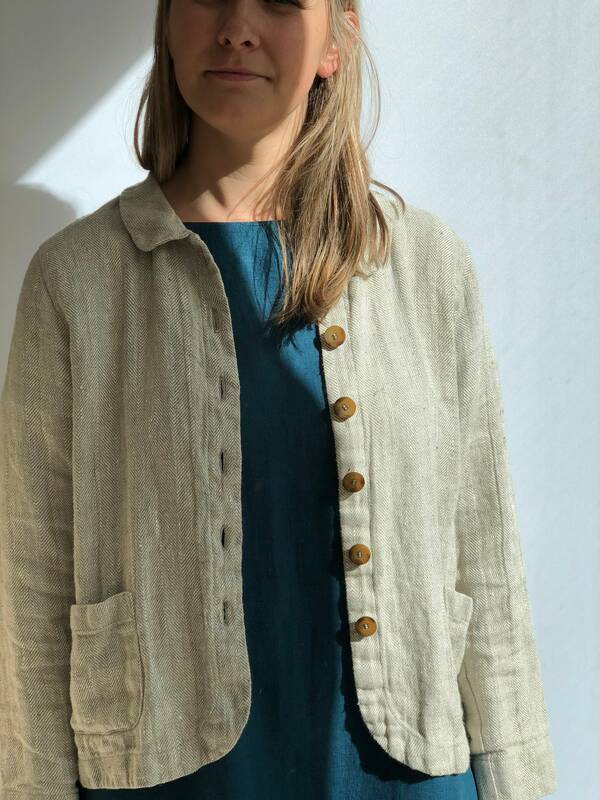 Stylish and universal linen jacket with lovely collar and decorative pockets. 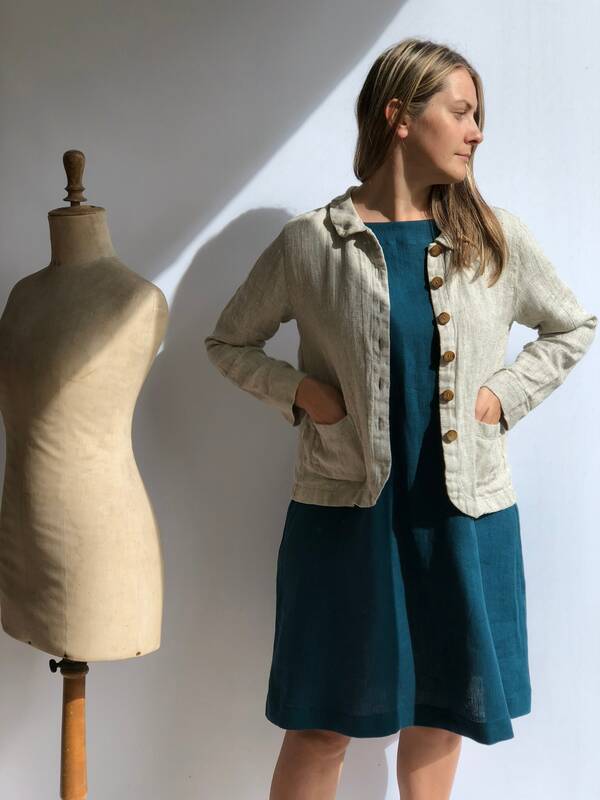 Balance between cute and shabby. 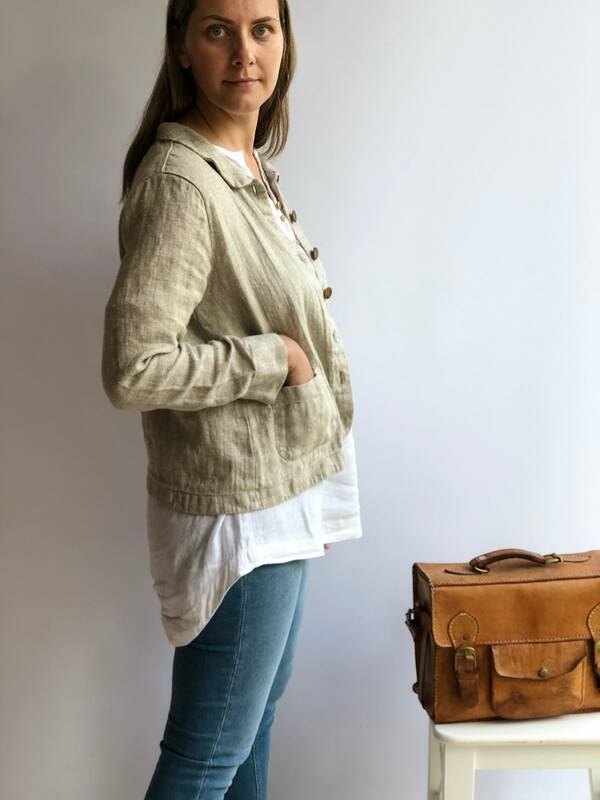 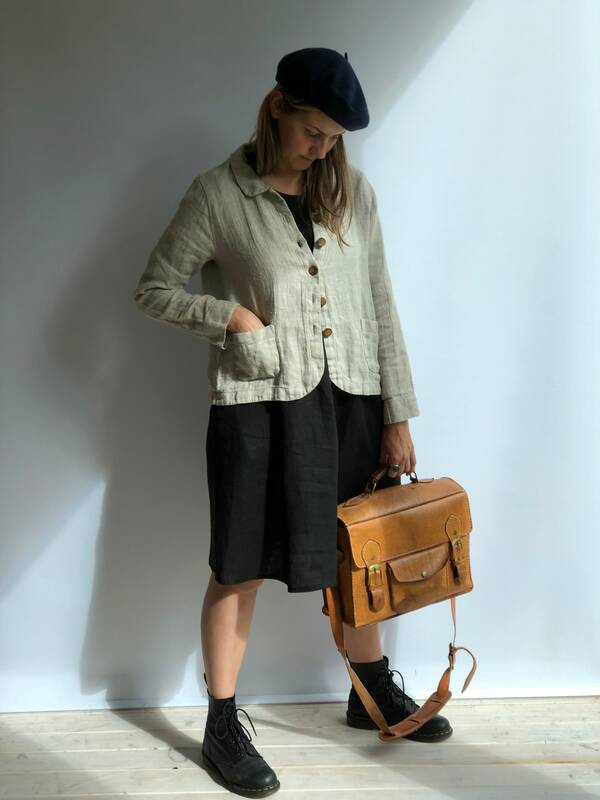 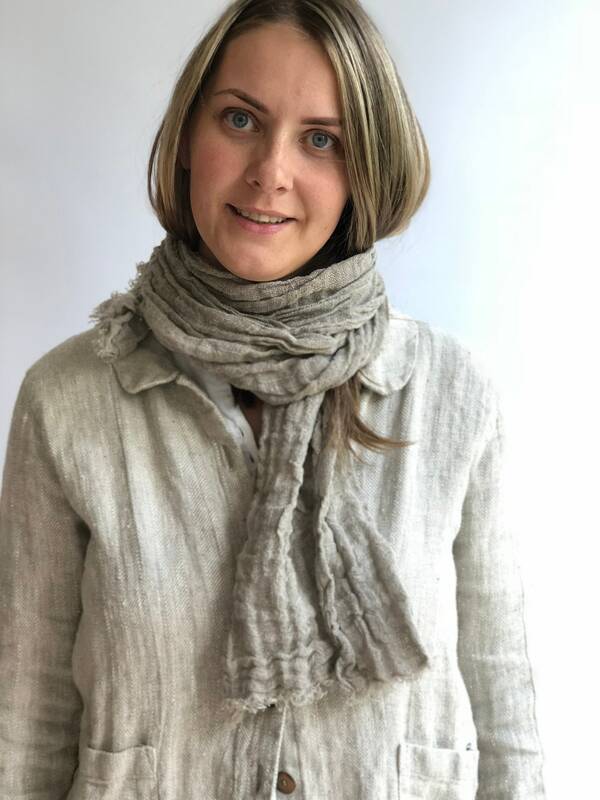 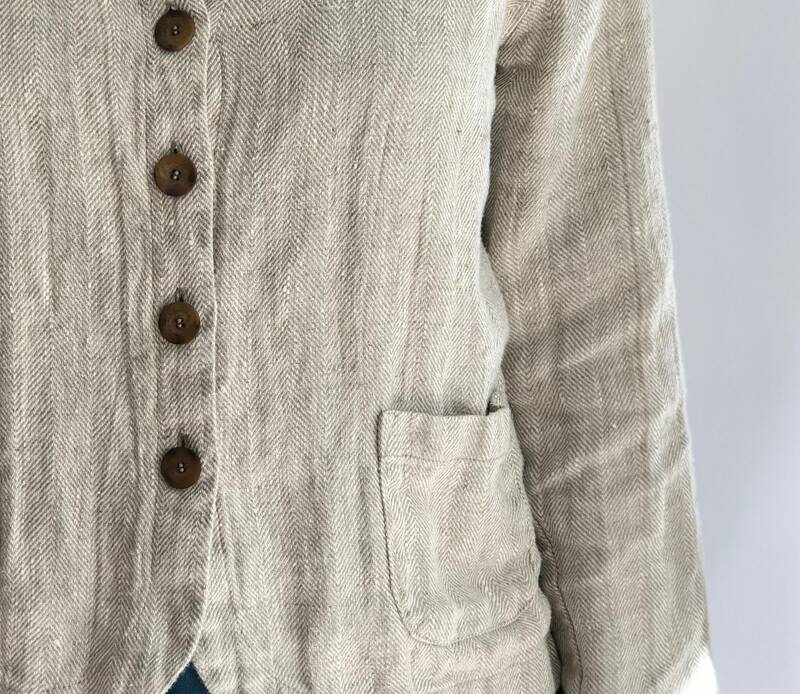 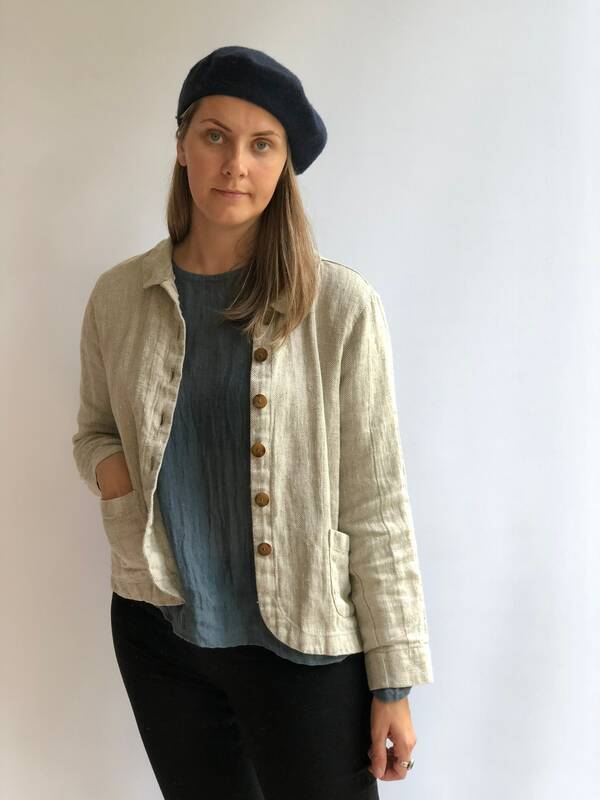 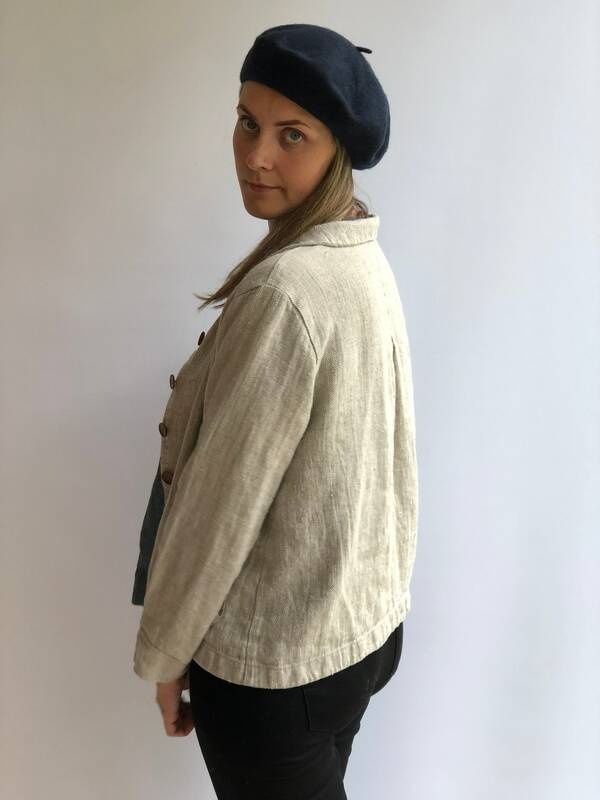 In the images this 'Georgia' jacket has been made from rustic, thick herringbone weave natural taupe linen but you can also choose lighter weigh other colors.